This new and improved version of AudioQuest’s ubiquitous carbon-fiber wonder answers the burning question: “Does the original AudioQuest Record Brush provide a ‘good electrical path between the fibers and the handle?’”Apparently the answer is: “No,” according to AudioQuest’s Bill Low. Enter AudioQuest’s Conductive Fiber Record Brush, which has “ideal conductivity from the Carbon Fibers.” On first acquaintance, the only change JV noted was that the brush feels different (lighter and a bit flimsier) than the original. But who cares? You’re going to buy one; JV’s gonna buy one; anyone who listens to vinyl is gonna buy one. The thing is indispensable. Accessory of the Year? Are you kidding? Accessory of the Decade is more like it. Synergistic Research’s High-Frequency Transducers are mini-thimble-sized objects, which you Blu-Tack to your walls and gear; its UEF Acoustic Panels are framed black rectangles, coated with a sonically-reactive paint, that are also strategically fastened to walls around your room. Why would you go to the trouble of doing either of these things? Because the HFTs and UEFs are actually sonic radiators that generate different blends of harmonics to “sweeten” the sound of loudspeakers and sources. To get them to work ideally you must also use Synergistic’s Atmosphere XL4 Tuning Module, which produces signals that cause the HFTs and FEQs to “ring” salubriously (and in different patterns). This may sound like BS, but the HFT/UEF/Atmosphere system actually works. What’s more it works precisely in the ways that designer Ted Denney says it does, changing room acoustics almost to order. Perhaps the most ingenious room treatment JV has ever used—and certainly one of the most versatile and effective—this SR package was another easy choice for Accessory of the Year. CMS Sotto Voce racks are not just vastly less expensive than the firm’s state-of-the-art efforts; they also offer comparable performance in a more traditional and appealing package. 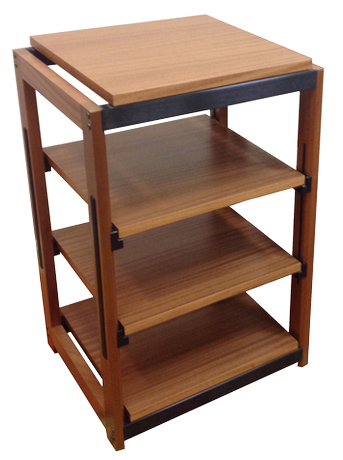 The frame and shelves are made of gorgeous Sapele African hardwood (natural or optional black finish) with sturdy metal connections milled from billet aluminum. The sonic improvements are not subtle—bass tightens, transients gain more verve yet maintain better control, rhythms sharpen, and low-level noise plummets. It’s that last factor that opens the soundstage and is key to the SV’s remarkable ability to elicit dimensionality from a recording. Fully upgradeable to accommodate CMS’ upscale array of “filters” (they replace the stock shelves but are mechanically far more complex). The filters provide further noise reduction, while the “purity quotient” takes a sizable jump. 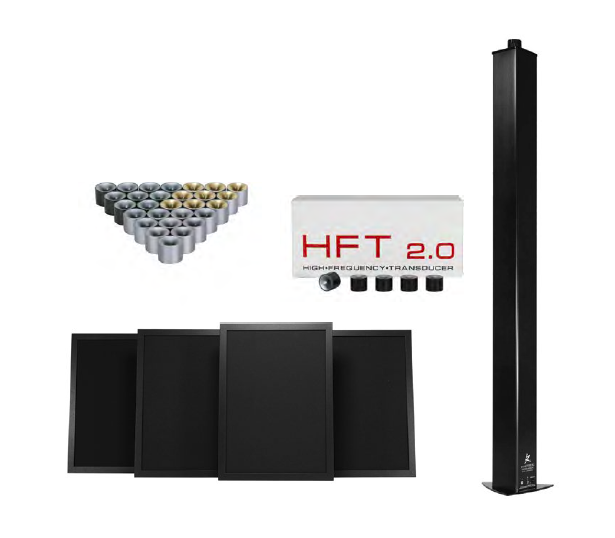 Available in three heights, the tallest, at 38", is a four-tier unit that offers 10" spacing out of the box yet is easily adjustable.